Whether it's the design, motor, or history, I am obsessed with all things BMW. Bavarian grunt and Germanic attention to detail is something we expect from BMW. In recent years, the German car manufacturer has delved into the archives to find projects that could be transformed into modern-day classics. 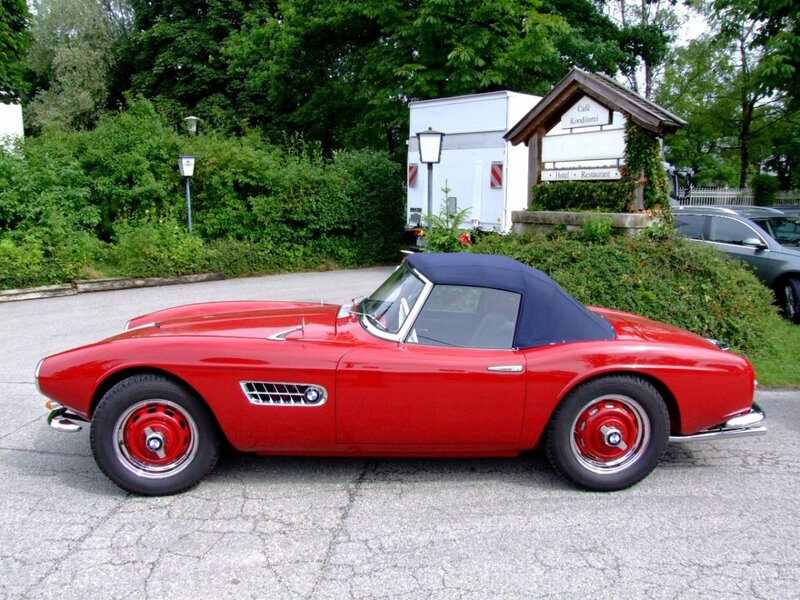 The Z3 was a perfect example of this: the lines and profile of this modern-day German muscle car bear a striking similarity to a much earlier BMW classic—the 507. After World War II, BMW was in tatters; its hometown of Munich was equipped to build only motorcycles, and even these did not resume production until 1949. It took even longer—until 1951—For car manufacturing to start up again. Once production had resumed, however, progress was rapid. 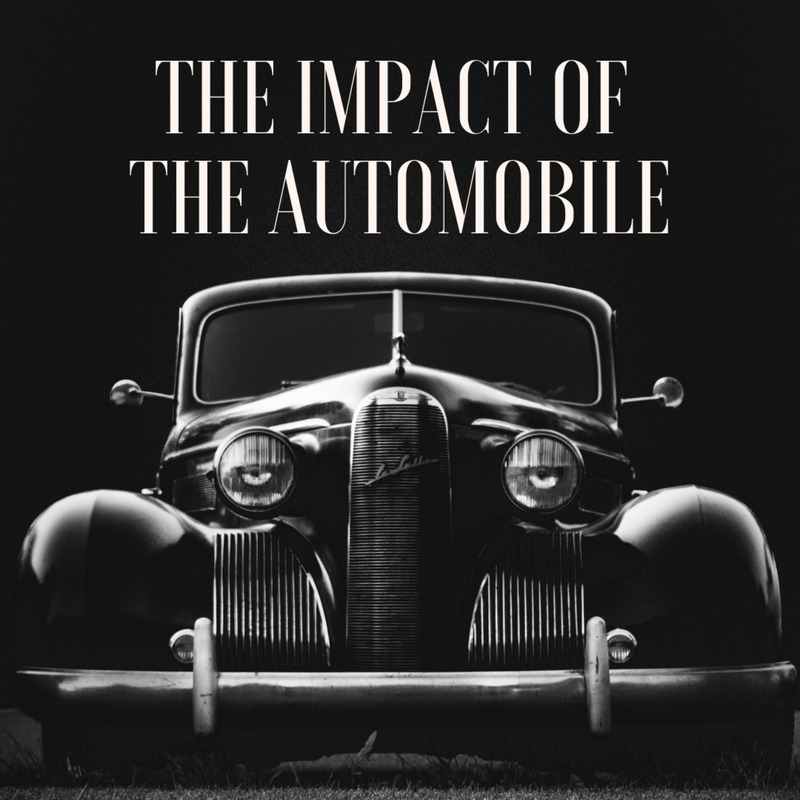 In the early 1950s, BMW was hell-bent on hitching its fortunes to luxury cars when almost every other manufacturer was providing cheap cars for the masses. 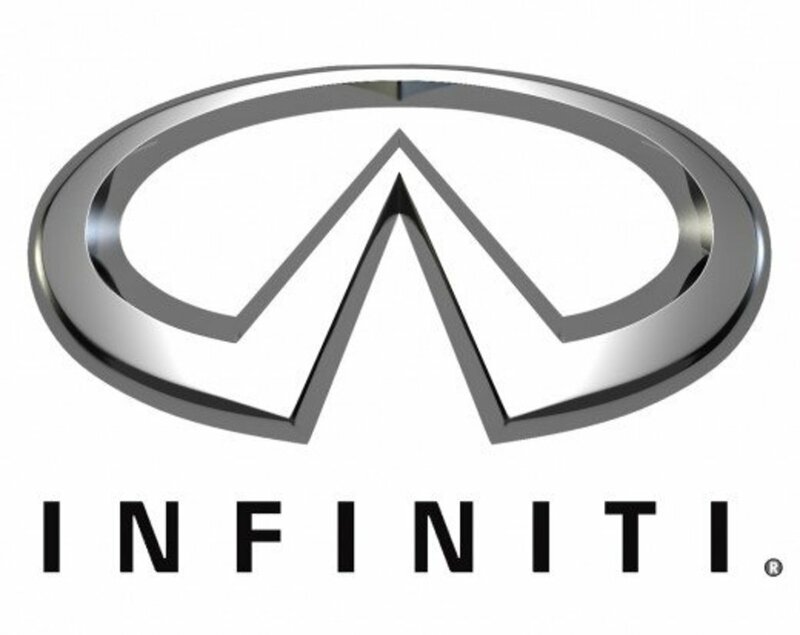 With this strategy in mind, the company unveiled its first production aluminium-alloy V8 engine in 1954, despite the fact that the super-sophisticated offering was likely to find few buyers. The 507 was itself a development of a previous design, the 502, which was something of a design dud, a rarity for BMW. The chassis of this vehicle was a perimeter-type affair, joined by large diameter tubes. Suspension at the front end was by double wishbones and longitudinal torsion bars, while the same springing medium was fitted at the back for the live rear axle. Covering it was a body of such floridity that the car was soon dubbed the "Baroque Angel." It was a pretty hefty machine, so 65 bhp didn’t exactly endow it with a vast amount of get up and go. 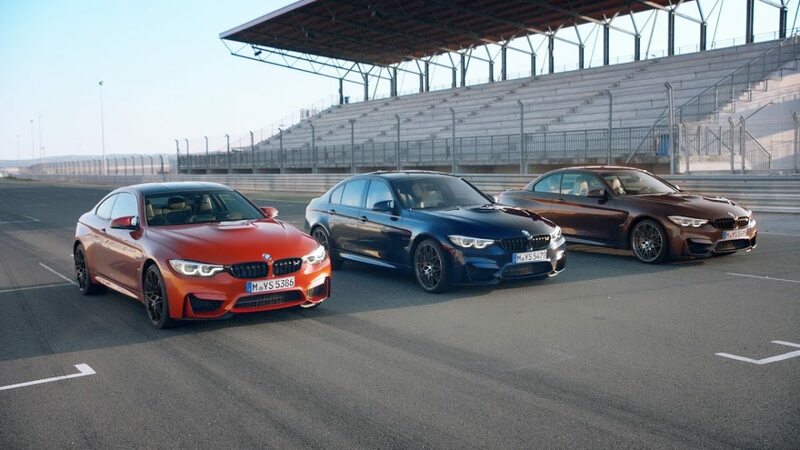 BMW were painfully aware of this relative lack of power. They contracted the brilliant engineer Fritz Fielder to work on the development of a V8 engine with which BMW hoped to replace the straight six. The new engine featured wedge-shaped combustion chambers and heads and blocks in light alloy. With a swept volume of 2508cc, it produced 100 bhp at 4800 rpm, using a single Solex carb, and endowed the dumpy 502 with a little more poke. The V8 502 was unveiled to the world in March 1954 at the Geneva Motor Show. By 1955, the V8’s bore had been increased to 82mm, and power raised to 120 bhp at the same revs as before. In 1957, power was increased still further to 140 bhp. Around this time New York entrepreneur Max Hoffman entered the scene. He already had history with German car manufacturing having persuaded Mercedes-Benz to put the 300SL into production, and getting Porsche to sell the 356 in the United States, where it sold by the bucket load. Hoffman’s vision was to have the 300SL at one end of the market, the TRs and Austin Healeys at the other, and something filling the gap in the middle: but what? A BMW, he thought. He loved BMWs, having raced their motorcycles before the war in his native Austria. He knew their products, and in particular recognised the significance of a V8 engine. 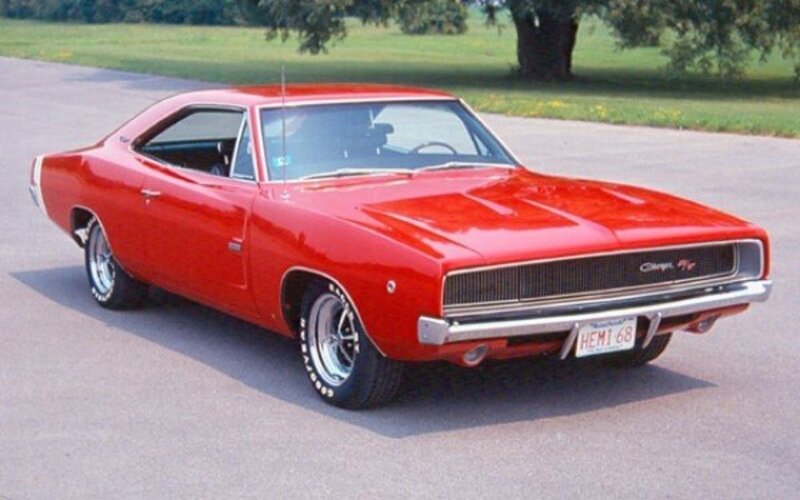 America loved the V8: ally that to typical German workmanship, and, Hoffman thought, you had a winner. BMW’s sale director, Hanns Grewenig, persuaded the board to give him the go ahead for a more sporty machine based on the 502. For two, in fact: one was to be a four-seater cabriolet that eventually saw production as the 503, and the other was to be a two-seater. Max Hoffman was something of a showman – he could sell ice to the Eskimos. He didn’t think he could sell the initial designs but still loved the idea. He remembered a car he’d seen back before the war, designed by a naturalised American called Count Albrecht Goertz. Hoffman contacted Goertz and proposed that he submit some designs. Goertz's new designs met with strong opposition but eventually won approval. His shape for the two-seater was simply sensational. At the front he took BMW’s nostril air intakes and laid them on their side, giving a wide, flat front. Behind this was a body as clean and yet as voluptuous as you could wish for, with prominent wings yet subtle curves. The basis for the 507, as the new model was called, was the 3.2-litre 502. The 3.2 litre all-aluminium engine was not without its problems: it tended to run too hot in traffic and too cool on the open road. And carburettor float chambers often overfilled when it was idling, sometimes leading to under-bonnet fires. But it was light and powerful, and, when mated with an optional 3.42-to-1 final drive ratio, tuned 160-bhp versions were good for 140mph. The 507’s body was an all-aluminium affair atop a simple tubular steel chassis. Each car was effectively hand built. Fiedler designed a new chassis, with box-section side members and three tubular cross-members to stiffen it. The wheelbase was shortened by some 14 inches, which meant that the gearbox was now in a more usual place, nestling up against the clutch housing and engine—in the 502 it was separated by a short propeller shaft. Suspension was as on the 502, complete with torsion bars at each end, and proved to be a better location for the back axle. Drum brakes were standard, with disc brakes appearing later. With twin carbs the engine now gave 150bhp. It took a mere 18 months from conception to completion with the 507 appearing at the Frankfurt show alongside the 503, another Goertz design. The crowds were wowed by the design, but it would be almost a year before BMW could get the car into production and then into the showrooms. 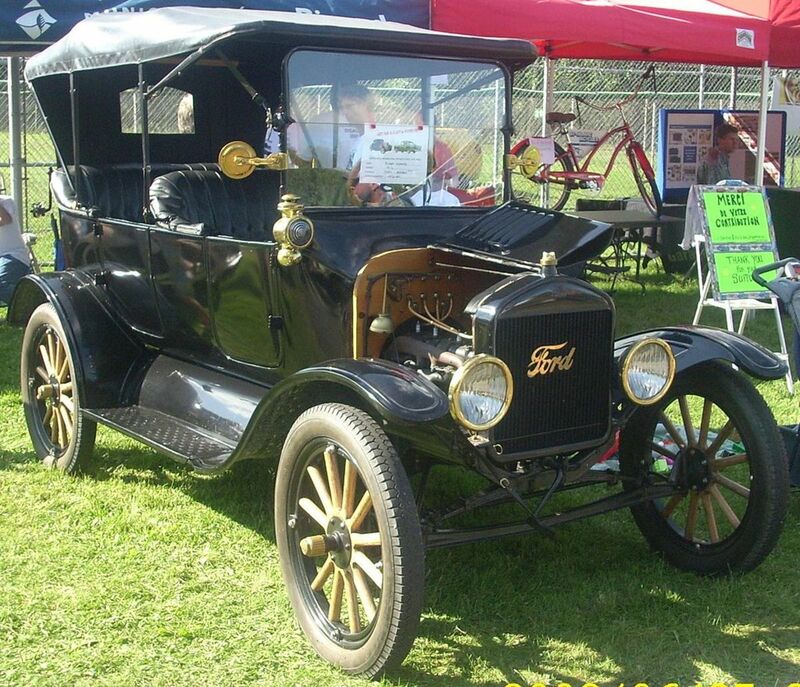 Along the way the complicated nature of the chassis and engine necessitated a high list price. The cockpit was surprisingly spacious, unlike the tiny boot. The seats were massive and everything—especially the gear lever—seemed in early reviews to be too far away. On the other hand everything worked well. The simple painted metal dashboard contained a round clock, tachometer and speedometer plus a simple radio and heater/vent controls. The two bucket seats, though low in the body, placed their occupants relatively high in relation to the very low door tops. Hoffmann envisaged a production rate in the thousands, and low cost. It never worked out that way. Only 252 were made, and they were definitely not cheap. 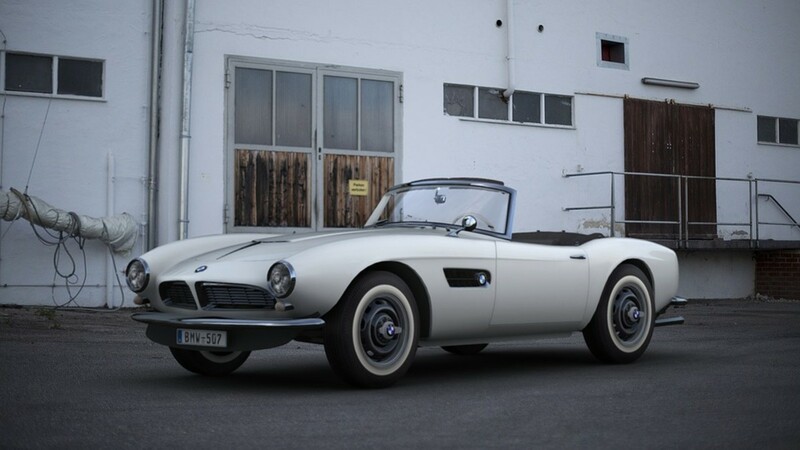 BMW just couldn’t make them quickly enough while keeping up their standards of quality, which all added to the desirable attributes of the 507. The 507 was produced in two production runs; Series 1 and Series 2. In the Series 2 cars, the dashboard was updated and the rear bulkhead was moved back slightly to provide more luggage space behind the seats. Just 42 Series 1 and 210 Series 2 cars were built in the four years the 507 was in production. Had BMW been able to reduce production costs, there would undoubtedly have been more 507 sales. It has been said that BMW lost money on every car made. 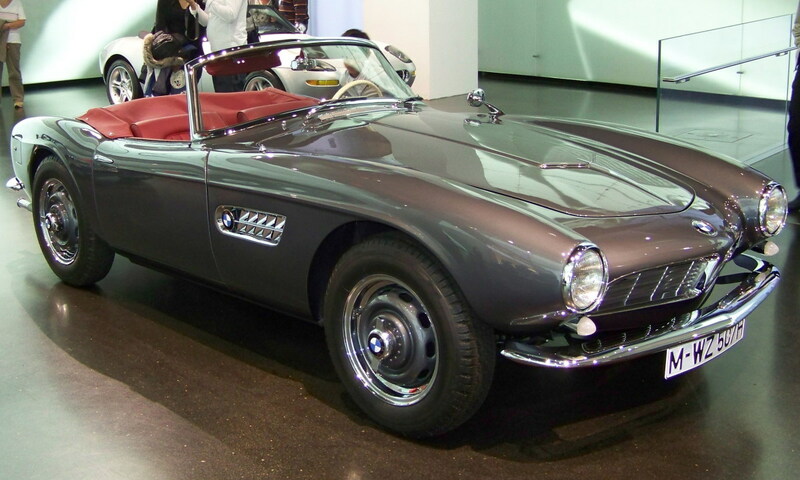 Today the BMW 507 is one of the world’s most expensive cars, not surprising when one considers that the King of Rock and Roll, Elvis Presley, owned one, as did 1964 Formula One World Champion John Surtees.